Property 12: Lakefront, boat dock, scenic views, relaxation. 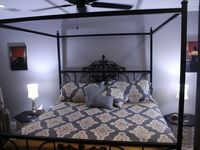 A Cozy Bed And Breakfast For 2 In The Sierra Nevada Mountains. Property 16: A Cozy Bed And Breakfast For 2 In The Sierra Nevada Mountains. Property 18: Experience the excitement of Galveston & Kemah while enjoying the countryside. Whimsical Mountain retreat with gorgeous views and privacy. Property 25: Whimsical Mountain retreat with gorgeous views and privacy. Property 28: Lets Go Camping In Comfort, Southern Style, come on down. Property 41: Bird House, relax in the mountains! Property 42: Deluxe patio with pizza oven, outdoor shower, hot tub, tremendous views, & more! 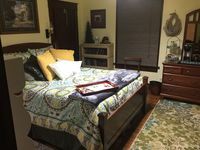 Evergreen Mountain Retreat - Recognized by "Colorado Homes & Lifestyles"
Property 44: Evergreen Mountain Retreat - Recognized by "Colorado Homes & Lifestyles"
Property 48: Valley Oak Bed and Breakfast, enjoy my home away from home Gateway to Yosemite. Beautiful and delishous breakfasts, homemade cookies, lounging in our robes for hours talking and laughing the day away. Could not have stayed at a better place. Perfect getaway to get caught up with my girl friend. Homey and comfortable. Thank you Ken and Kelly! Good location! Nice to have snack and a mini refrigerator with drinks. Clean and comfortable. Easy to book.